In celebration of Election Day, we at Casa Couture are taking a look back at the campaign styles of the two leading ladies of the election season. While the road to the presidency may have been filled with talk of jobs, health care, and taxes, Michelle Obama and Ann Romney have been a constant presence and have generated their own buzz with their own unique style on the campaign trail. These ladies have not only shown us that they know politics, but that they most definitely know a thing or two about fashion. 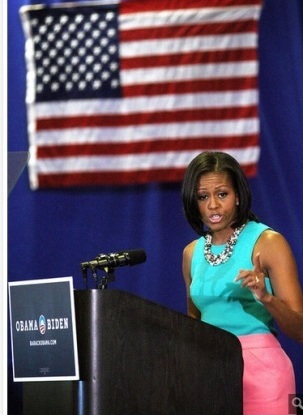 For Michelle Obama, wearing an array of fresh designer looks was a reoccurring theme. 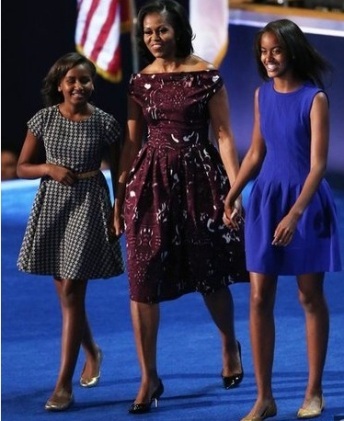 Known for mixing high-end and affordable pieces, Obama’s ensembles garnered a lot of attention, especially when she recycled a previously worn dress for the final debate. The first lady was often seen wearing dresses in vibrant colors and bold prints during this campaign. 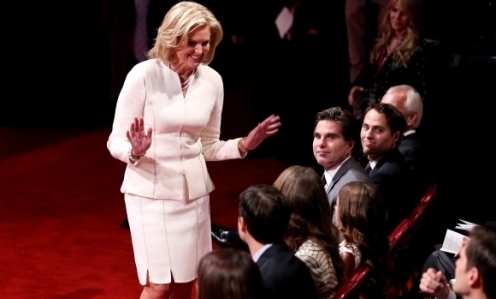 For Ann Romney, bold colors and conservative silhouettes were a theme throughout the campaign. Her looks were tailored and sophisticated and she made great use of belts to accentuate her waist and statement necklaces to accessorize her ensembles. Who do you think wore it best this campaign season?